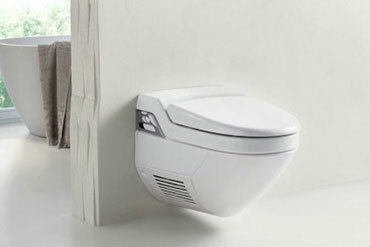 We have an extensive range of designer traditional and modern toilets. We have the solution for any style and any budget. 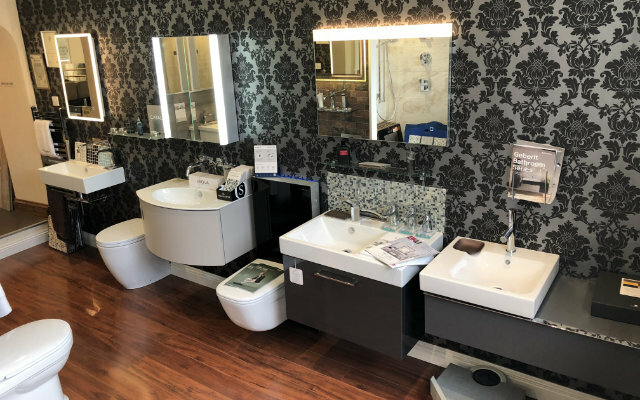 For compact bathrooms we have smaller options available such as corner toilets and back to wall toilet pans that have the same great styling but are designed to suit a cloakroom or ensuite. Or if you’d prefer a period style bathroom, why not try our high level toilets, which encompass the classic designs with modern functionality. 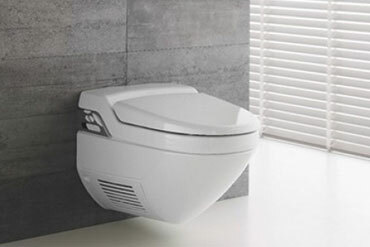 The Geberit product range offers the perfect model for any requirement and any home – from a stylishly designed complete solution to an enhancement solution which is easy to install on existing toilets. In addition to the pleasant water spray, there are also various extra pampering functions available depending on the model. 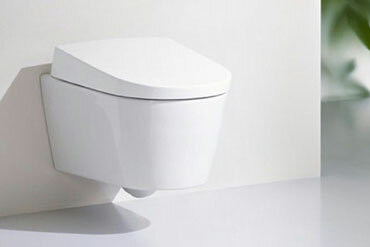 These include the orientation light, the WC seat heating, the WhirlSpray shower technology, the pulsating massage function, the gentle lady wash, the automatic odour extraction, the beneficial warm-air dryer and the TurboFlush technology. Interest in finding out more? Please call us on 01935 817111 to discuss your project. Whatever your style preference, our bathroom designers will help you create the perfect bathroom using products of your choice from our product ranges. We can then supply all fittings and fixures and then install your new bathroom. This gives a single point of contact for the whole process.